system for the Boeing B-29 Superfortress heavy bomber. Part I: Instructions for Using and Harmonizing the R.C.T. 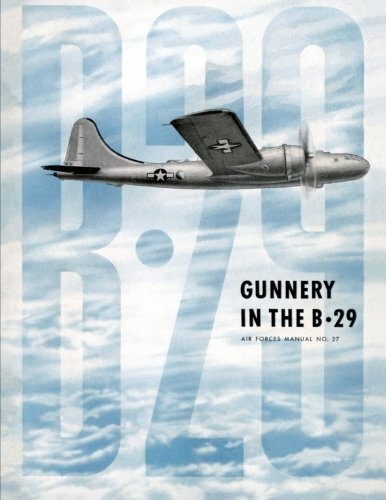 System (B-29 and Its Guns; Sighting Station Controls; The Sight; Other Instructions for Using RCT in Combat; Getting Ready for a Mission; Pre-Flight, Crew Duty, In Air, and Post-flight Check Lists). Part II: Harmonization in the B-29 (The Job of Harmonization; What You Need to Harmonize; The Harmonization Procedure; The Leveling Procedure). 185 photos and drawings.